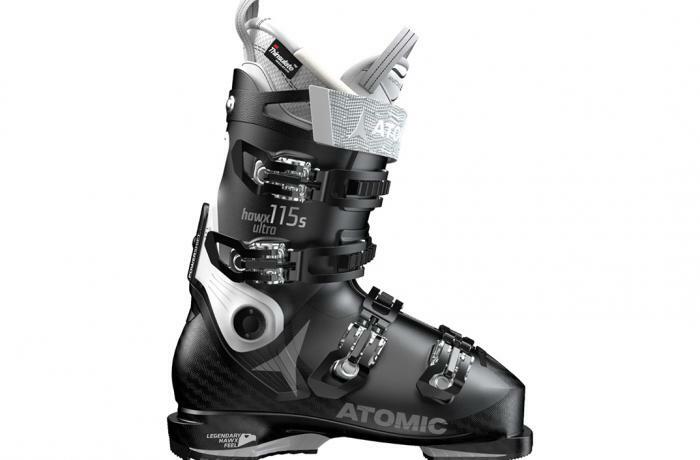 The 2018/2019 Atomic Hawx Ultra 115 S W was tested in the women's All-Mountain narrow category at Silver Mountain Resort by the experts at America's Best Bootfitters, powered by Masterfit. 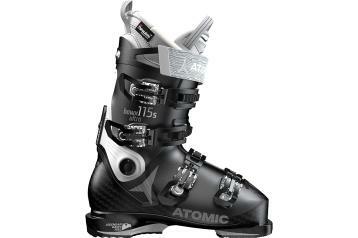 Testers loved the 2019 Atomic Hawx Ultra 115 S W enough to put it in the top group of the All-Mountain narrow field. Light isn't always right, but in this case, testers said it was—for fit and performance. This year's version returned with a beefed-up flex rating, an updated look and liner, and a new lightweight power strap that testers loved. Narrows should be narrow, that's our stand, and here's what testers said about the Hawx Ultra 115 S W's initial fit: Great for the true, narrow foot. Great, narrow, firm fit. Well-defined heel pocket. Good low-volume, snug, firm fit. Locked and loaded! Testers gave it such even fit scores, right down the narrow side of things, that the averages for five cards were the same as for fifteen. The team agreed there's a little bit of extra room in the toebox and at the calf and that's about it—evenly snug-side everywhere else. They all loved the spring-loaded flex feel, solidly in line with its 115 billing, but a couple mentioned that the calf fit was a bit tall and jabby against the back of the leg. Extremely energetic was the consensus among testers, who enjoyed how the lively forward flex (powered by the thin shelled polyurethane cuff) loaded and released energy with every turn. Feedback levels were high—with testers saying that they could feel every ripple in the snow beneath them, perhaps to a fault, with a few testers saying the transmissive, high energy feel could get jittery at times. Power to the edge was immediate and unfaltering. For those who find perfectly snug just a little too constrictive, cooking the shell via the Memory Fit customization feature is a slick way to open up a little bit of extra room everywhere without blowing out the fit. Aside from being able to modify the flex and forward lean with the Power Shift (which accounts for the "S" in the model name) mechanism on the rear cuff and make lateral stance changes with the on-board cuff adjustment, canted sole shims are available in 0.5- to 3.0-degree increments as an optional purchase.